A novel rectangular design matches the White Porcelain Rectangular Lungo Cup Set. Measuring 8.25 inches x 7.5 inches, this plate features a beautifully embossed scroll pattern. 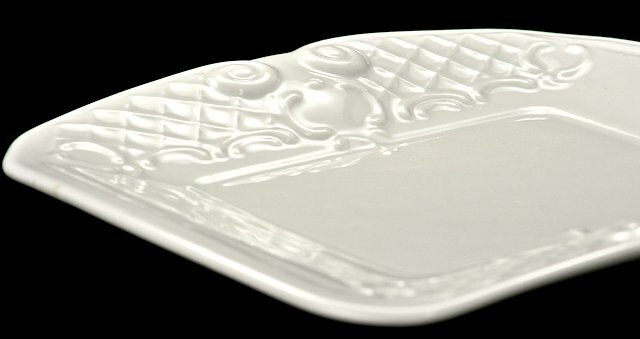 A beautiful base for your exquisite desserts or savories.